We are pretty fortunate at our house. For starters, we have health care. Second, our employers give us the option of a Flexible Spending Arrangement (FSA) for medical expenses. And third, emergency room visits and trips to the orthopedist were way down this year. A record low — only 8 total — stitches, no broken bones, separated shoulders or sprained MCLs. Yep, it was a pretty good year. Concussions are in the news and influencing everything from equipment manufacturers to the decisions families make about sports involvement. 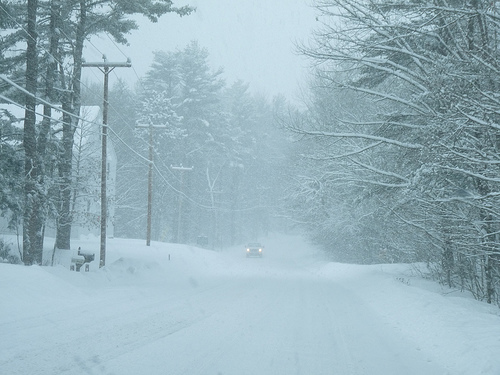 Long-lasting brain trauma from blows received during sports are being researched and when you read about the speculation surrounding the recent deaths of Junior Seau and Derek Boogaard, you start to wonder if any contact sport is worth the risk. 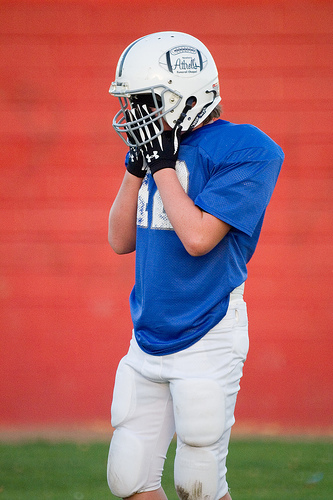 Some are quick to point to concussions as the cause, while others say that it’s inconclusive. There is a lot of information out there, some is informative and interesting, some is downright horrifying. And some goes as far as to say allowing your child to play football is abusive, and we will see the demise of college and professional football in the next 25 years. Dr. David Geier asked for my comments on his blog “Would you let your son play football?” and you can read my thoughts, as well as those from some real experts. When I asked my orthopedic doc, who patrols the sidelines as a team physician for high school football games, what his biggest injury concern was, he said without hesitation, “concussions.” And when I asked a friend whose sons play football what she thought, she admitted that some of the stories were so scary she was afraid to read them. The NFL is taking some action on this, which is great to see because the NHL and USA Hockey still have their heads buried in the sand, or somewhere worse. 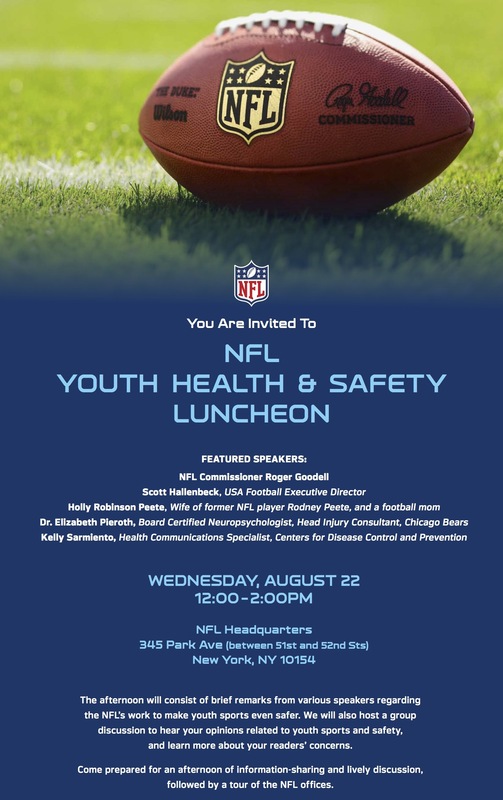 In addition to the NFL’s newly announced Total Wellness Program for all current and former players, they’ve invited some bloggers to the NFL Youth Health and Safety Luncheon at the NFL offices on August 22. That would include *ahem* me. Yes, just try to imagine the Trophy Mom roaming around the NFL offices, rubbing elbows with Holly Robinson Peete, and bro-hugging Roger Goodell. So let the exchange of ideas begin. 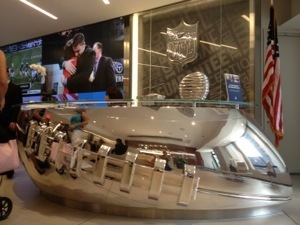 What do you think about the safety of football or other contact sports, especially at the youth level? Would you, do you, let your kids play? Do you think coaches put your kid’s health over a win? Is the equipment safe and does it fit? Are there people on the sidelines who can evaluate concussion symptoms and do they make kids sit out? Are the officials well trained? I want to hear it all before I go so comment away. Probably by now you’ve heard the story of Minnesota high school hockey player Jack Jablonski and the horrific injury he has suffered as a result of a hit from behind into the boards. Mom’s Team has a very nice post about it and so does Yahoo’s Puck Daddy. And Jack Blatherwick’s column at Let’s Play Hockey says it all: Adults must make it happen: Replace violence with skill. I think every hockey mom and every hockey dad, whether they want to admit it or not, has this in the back of their mind every time they watch their players compete. Hockey is a fast moving game with unforgiving, fixed boards and that, combined with physical play, can result in some devastating injuries. And while a broken ankle or separated shoulder can be fixed, a severed spinal column doesn’t heal so well and you can end up looking at your child in a hospital room and wondering what the rest of his life will be like. checks or pushes an opponent from behind. an opponent may also be assessed for checking from behind. Let’s take it out of the ref’s hands and put the onus on the players and coaches. I believe that ANY hit from behind should result in a major penalty and a game suspension. Yes, I said ANY hit from behind. I just created a petition entitled USA Hockey: Change R608 so any hit from behind gets automatic major + game misconduct, because I care deeply about this and the safety of our players. Let’s take these kinds of hits out of the game forever so we don’t have to read another story about a promising young player in a hospital bed. Let’s put pressure on our coaches and our rule makers to take this seriously by placing serious consequences on those who make these hits. If you’d like to make a contribution to help Jack Jablonski, here’s an address for you.